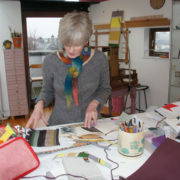 Linda is an internationally respected textile artist who has exhibited in Japan, USA and widely in Britain. and Papermaking. After a full time teaching career at Glasgow School of Art, she pursues her Creative practice in Edinburgh, founding Studio Green in 2009. 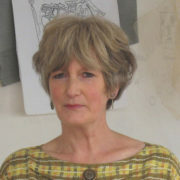 Linda is member of the Crafts Council Hothouse Mentoring Scheme. 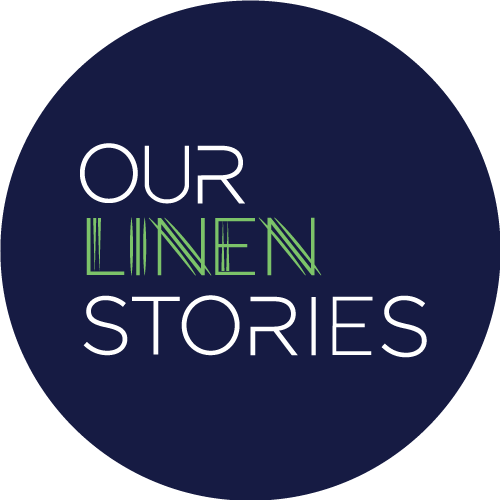 Linda’s work has been recognised through major awards from Creative Scotland, The Inches Carr Trust and Theo Moorman Trust for Weavers. In 2015 Linda was awarded the European Tapestry Forum Jury’s Prize for innovative work and this year sits on the International Jury for their fifth triennial exhibition, ArtTapestry5. Linda was an invited artist in Visual Arts Scotland 2016 Exhibition FLY. Conceptually, Linda’s latest work sits somewhere between micro and macro relaying an understanding of the minute structure of fibre paralleled with an interest in the cosmos: visual similarities of widely different scales are brought together. Moving across media, the process includes a blurring of boundaries yet precise resolution including mark-making, selecting colour, exploring translucency and fabricating materials.